Tutti Designs: Happy 25th Anniversary , soft and elegant. 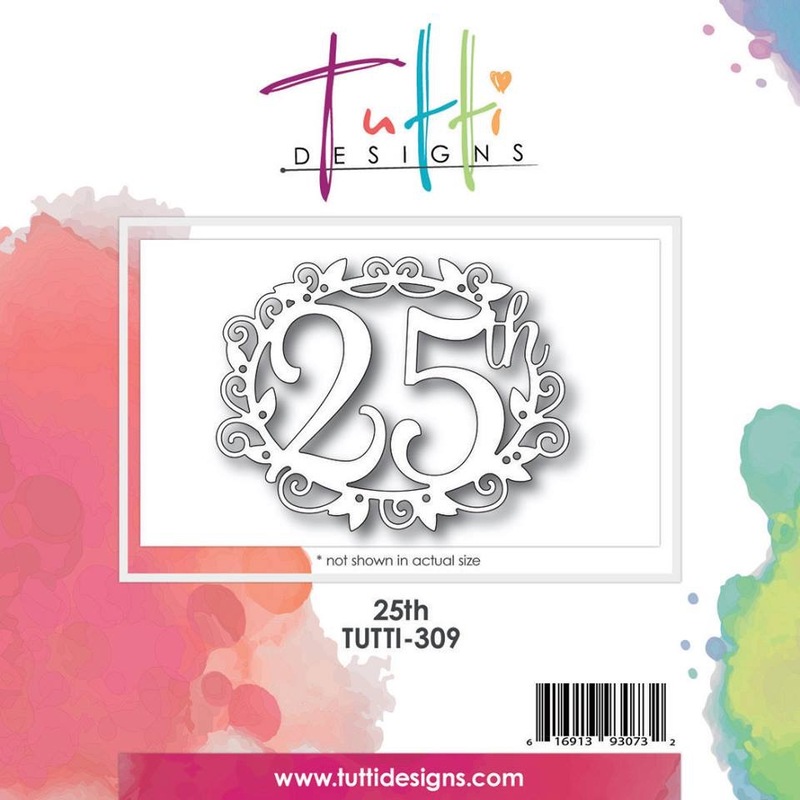 Today is from this months new release 25th, TUTTI-309. Using white card, die cut your 25, press into the versamark pad and add silver embossing glitter and heat set. Then cut a pearl oval to back the 25, by drawing a line around the outside edge. 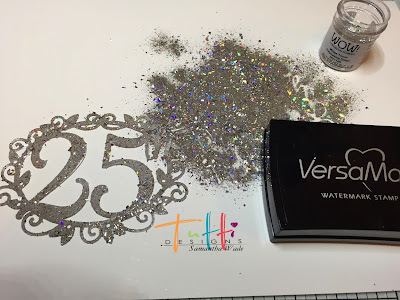 Create your card with grey papers some gems, flowers, lace and sentiment. 3D your 25th into the centre to make the card special. 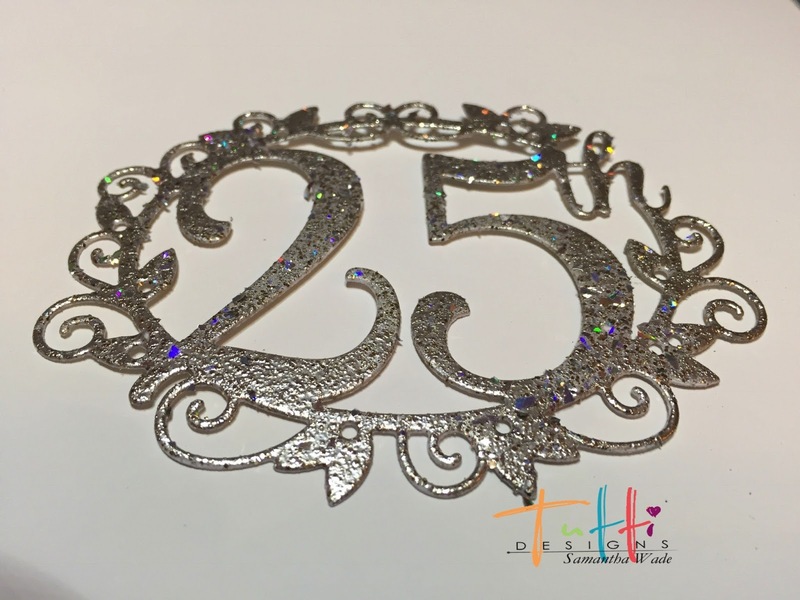 This die cuts like a dream and can be used for an anniversary or a birthday.